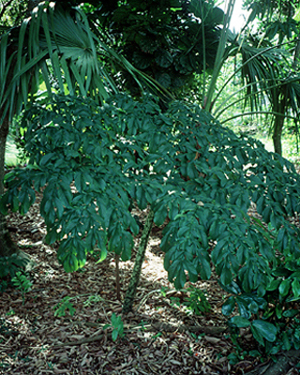 ORIGIN: Tropical Asia and Africa, 90 spp. COMMENTS: The hundred or so species of this genus are grown as horticultural curiosities. Like most aroids, they contain irritating calcium oxalate. The tubers of some are a food item in the Far East after appropriate preparation.